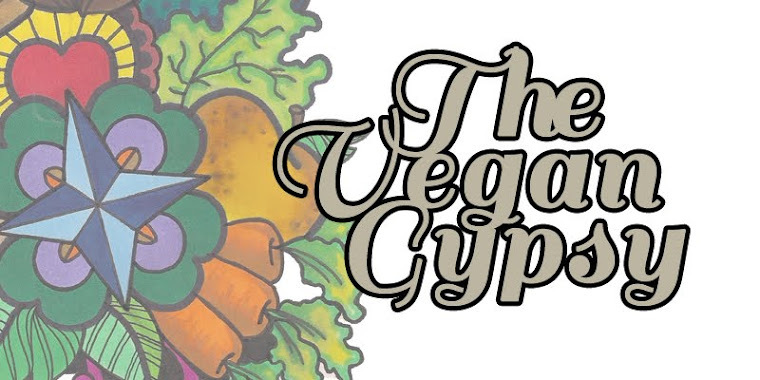 The Vegan Gypsy: Get Healthy, Go Vegan! That's not only great advice, it's also the title of my latest cookbook acquisition. Specifically, it's called The Get Healthy, Go Vegan Cookbook by Neal Barnard, MD and Robyn Webb. Ever since we attended Dr. Barnard's lectures on the cruise, I've been smitten. Gathering up his books and reading his website like a teenager collecting Tiger Beat, my crush respect and admiration grows & grows. (What can I say? I have a thing for skinny, smart geeks!) Out of all the plant-based "professionals" popular right now, Dr. B is my favorite. He's well-spoken/written but doesn't overwhelm you with too much scientific medical mumbo-jumbo, and he's in this vegan thing not only for the health benefits, but for the animals as well. As an ethical vegan who also wants look good and live forever without harming any living thing, this is right up my alley! So you see, Dr. Barnard is the perfect man doctor for me. So, I thought that for the next couple of weeks you & I could make our way through this cookbook together. I'll cook and share, you do the same if you feel so inclined. Hopefully I'll lose a couple of pounds while eating some yummy food while we're at it. Sound good? Ok, here goes. A disclaimer: As I've mentioned before, there's a grey area in the ethics of posting other folks' published recipes, so I'll be tweaking the originals just enough to make them my own. If you want the original author's exact version, please go buy his/her book. Since I was all out of my usual tofu scramble & greens yesterday morning and too lazy to run to the store, I decided to make something different for breakfast. I had all the ingredients for the Banana-Ginger Pancakes so why not? In a medium bowl, combine the dry ingredients (flour through salt). In another bowl, combine the liquid ingredients (agave through vanilla). and burst, and the pancake is lightly browned on the edges. the pancakes cook for about 1 to 2 minutes per side. Top with maple syrup and fresh banana slices if desired. Note: this recipe creates a very moist, soft pancake. Take care not to overcook! 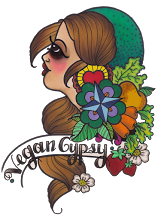 Vegan Gypsy Says: Delicious! Soft and moist, not as light & fluffy as traditional pancakes so that took some getting used to. Next time I'll add fresh ginger to the mix for more flavor but otherwise, this is a great recipe for when you're craving something sweet for breakfast. Omni-Hubby Says: I didn't try them but thanks for the leftover applesauce, it was perfect on top of my hash browns! It's a beautiful sunny morning here in Central Florida, think I'll head to the patio with my book and a fresh cup of java. Have a wonderful weekend!